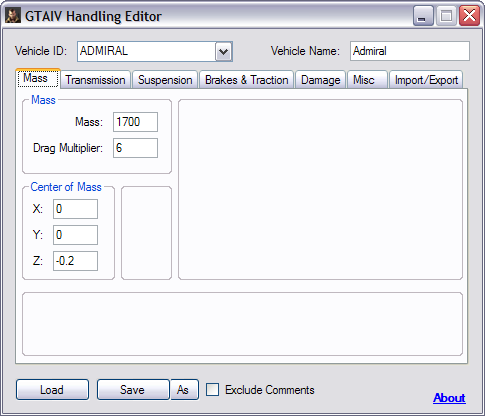 Each tab in the program is dedicated to a particular set of handling attributes you are able to edit in the file. The tab that may need some explaining is the Import/Export tab. This feature allows you to backup, transfer, or distribute your vehicles' handling and extended data. If you need more information please contact the developers of GTAIV Handling Editor (CoMPMStR), or check out their product website.